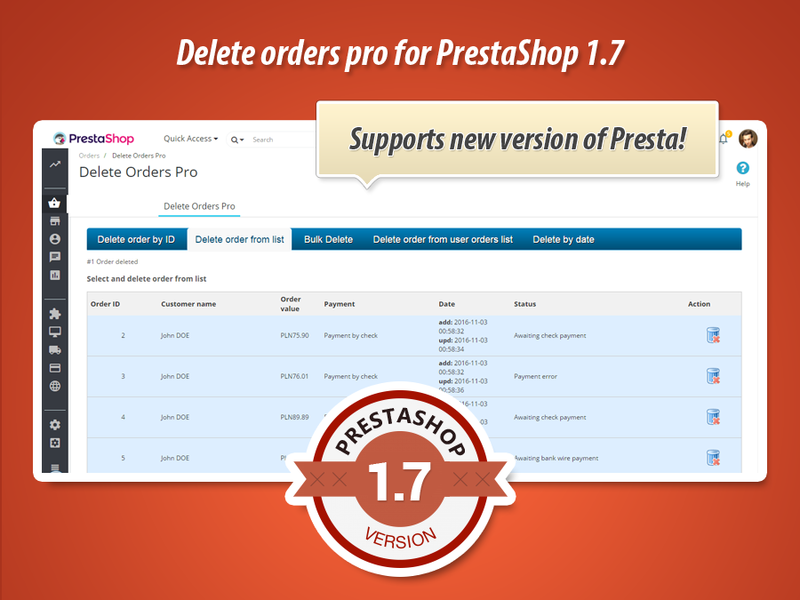 With this module you can delete orders in PrestaShop store. Often in our stores is a lot of unfilled orders, which only clutter the database and make the shop is running slower. This module solves the problem of unwanted orders. Now you can delete them with one mouse click! It often happens that we want to remove some orders from our store. Often orders are placed by mistake, often for fun. All of this makes in our shop begins to appear a lot of "junk" - that can significantly slow down our PrestaShop performance. Delete Orders Pro efficiently solves this problem. 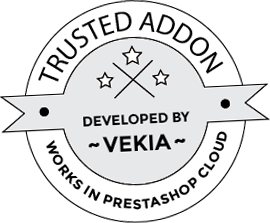 We focus on the secutrity of your data in shop. You must confirm all deletions by clickin YES in message box. 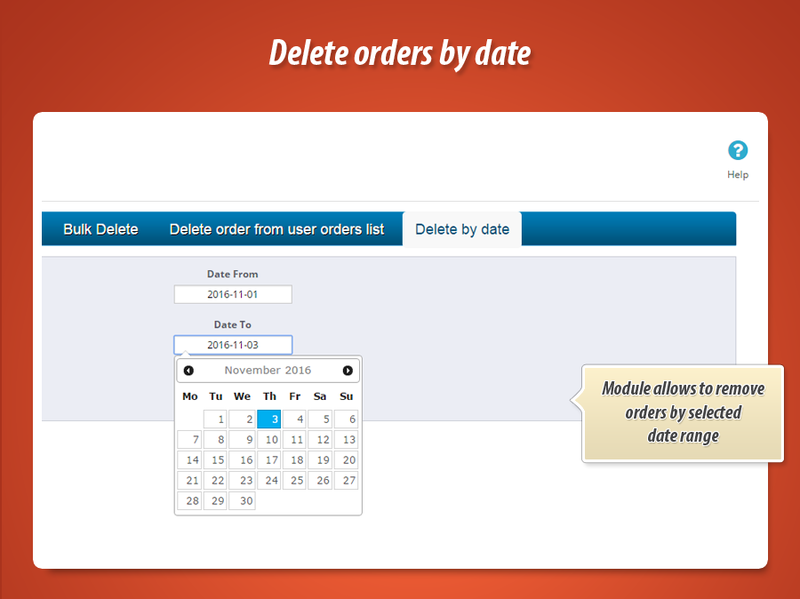 Delete order by using full orders list from your store. You can view the list and remove the unrealized orders. - feature to define "date from"
- feature to define "date to"
- module fully supports PrestaShop 1.7 now! - added fixes to appearance of notification about unidentified "value"
- possibility to select all displayed orders to delete in bulk with one mouse click "select all"
this is the url to prestashop 1.6 back office. Please log in as customer with credentials below. Then go to Orders > delete orders pro. There you can manage and delete the orders from shop.